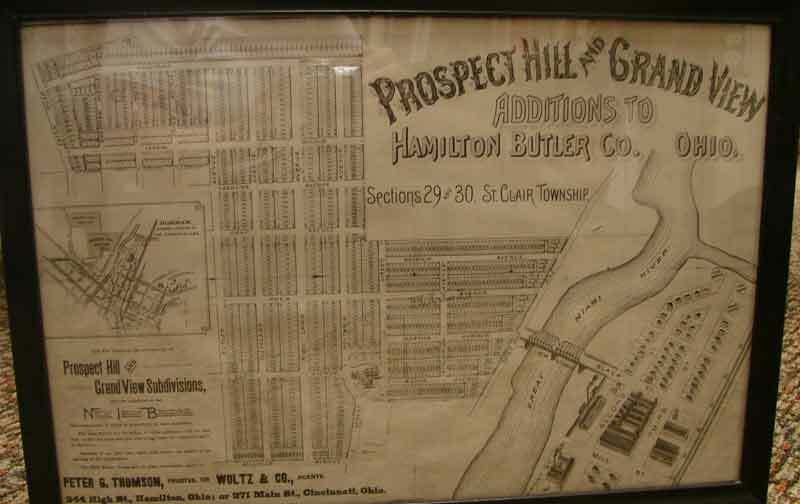 In addition to our historical artifacts and collections, the Butler County Historical Society is also home to many different research materials and collections. Learn more about the different types of collections that are available to the public at the Benninghofen House. Family files contain information on over 5,000 names of Butler County residents. 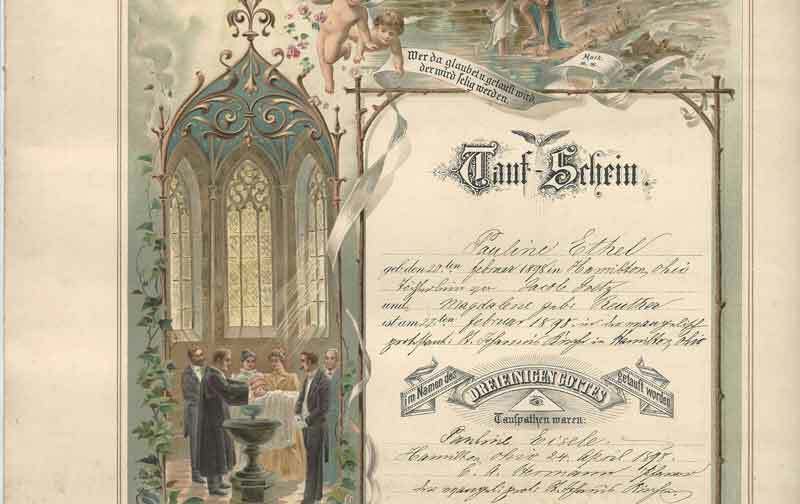 These files include genealogical information, Bibles, photos, letters, diaries, documents and other items that have been donated to the Society. 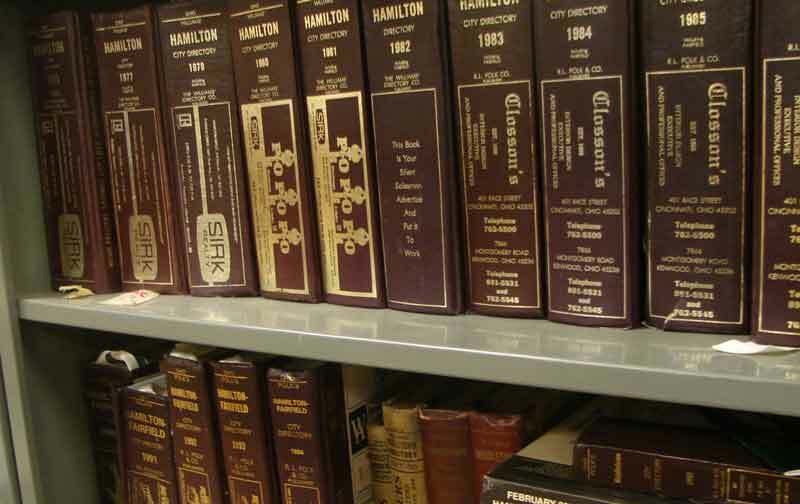 The library houses an extensive collection of Hamilton and Middletown directories starting in 1858 through 2017 (not complete). Several county and rural directories are also part of the collection. 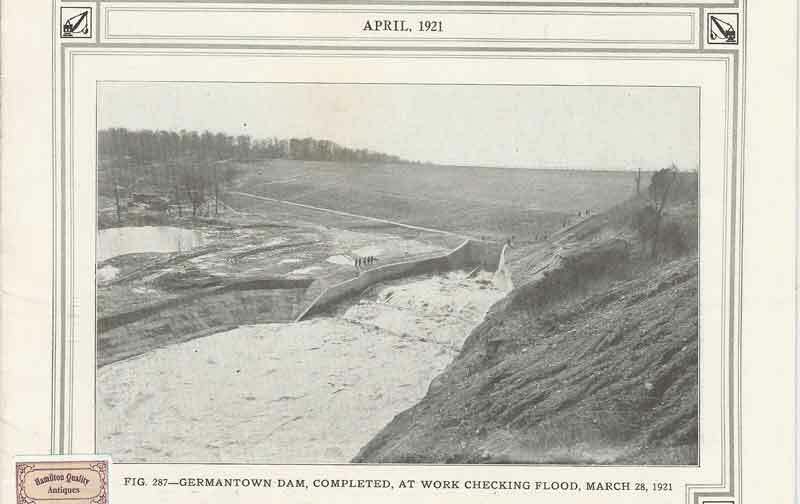 Photograph and reference files detail a variety of topics from businesses, churches, schools and settlements to canals, forts, wars, and presidents. For those researching more recent residents, the library has a large collection of Hamilton and Taft High School Annuals starting in 1898 and Miami University starting in 1893. There are also yearbooks for other Butler County schools, including Ross, Middletown and various grade and middle schools. 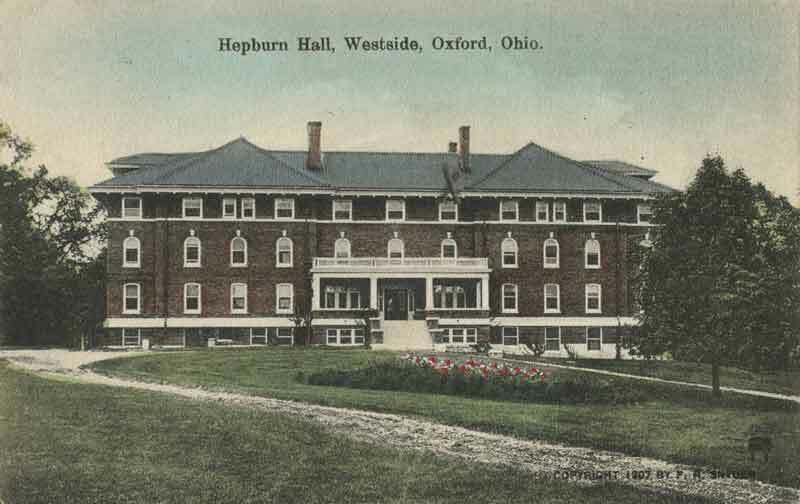 Material and photographs pertaining to the history of area schools, class reunions and other school functions can also be found in the collection. Newspaper collection includes microfilm and, in many cases, bound hard copies of most of the publications throughout the county. Included publications are the Venice Graphics, Butler County Press, Deutsche-Amerikaner, Edgewood This Week, Hamilton True Telegraph, Hamilton Herald, Hamilton Daily Democrat, Hamilton County Democrat, Hamilton Evening Democrat, Western Telegraph, Ohio Independent Press, Western Telegraph, Rossville Weekly Sentinel, Hamilton Examiner, Hamilton Daily Republican, Hamilton Daily News, Lindenwald Ledger, Oxford Press, College Corner News, Hamilton Evening Journal and Hamilton Journal News. 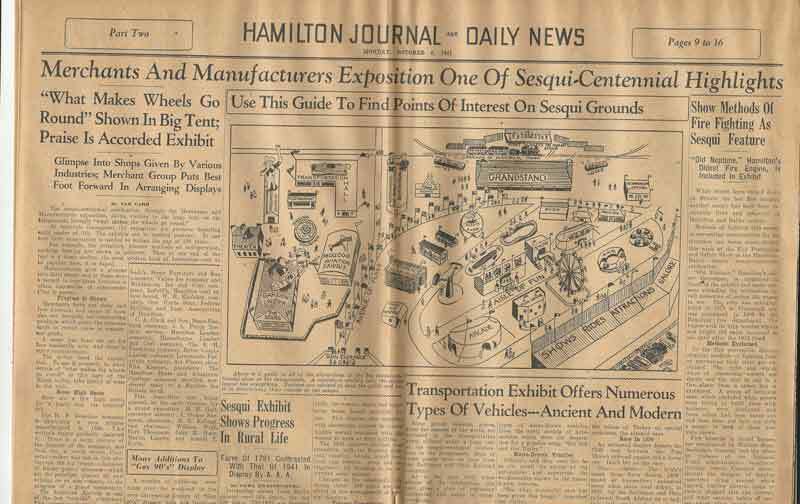 The library also houses the morgue and photo archives from the Hamilton Journal News from the 1930s-1990s. 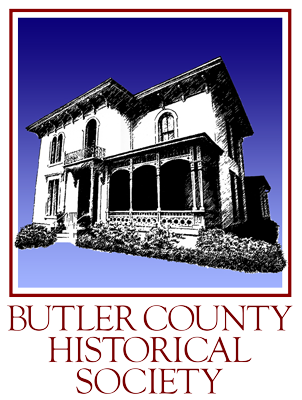 The library has various vital record compilations including Butler County marriage records from the early 1800s, census data starting in 1803, and a collection of obituaries, marriages and divorces that have been clipped from old newspapers. 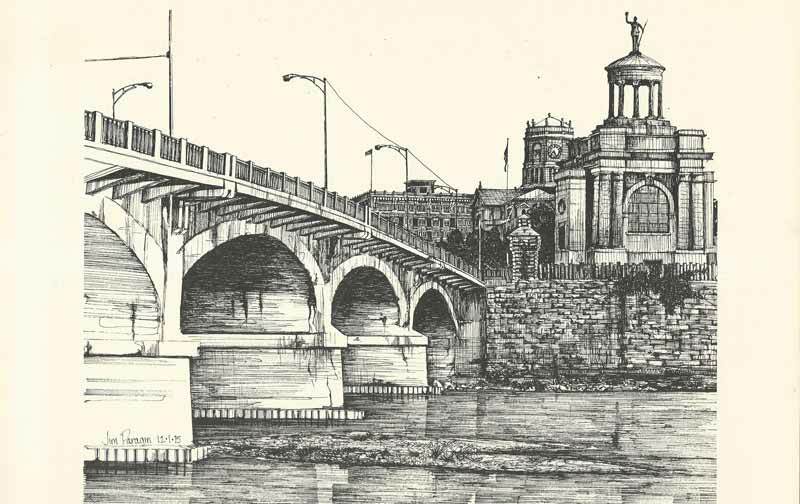 A large collection of printed histories from Butler County tell the stories of early pioneers, settlements, township development, Native Americans, agriculture and historical events. 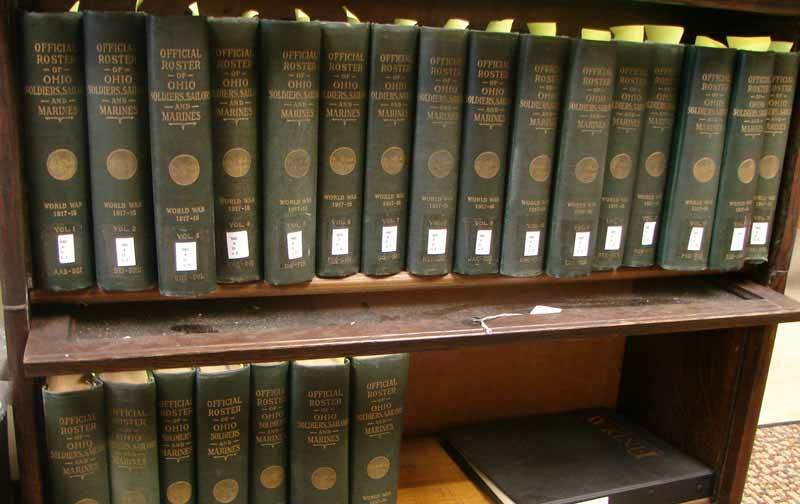 County histories for Montgomery, Hamilton and Preble Counties can also be found. 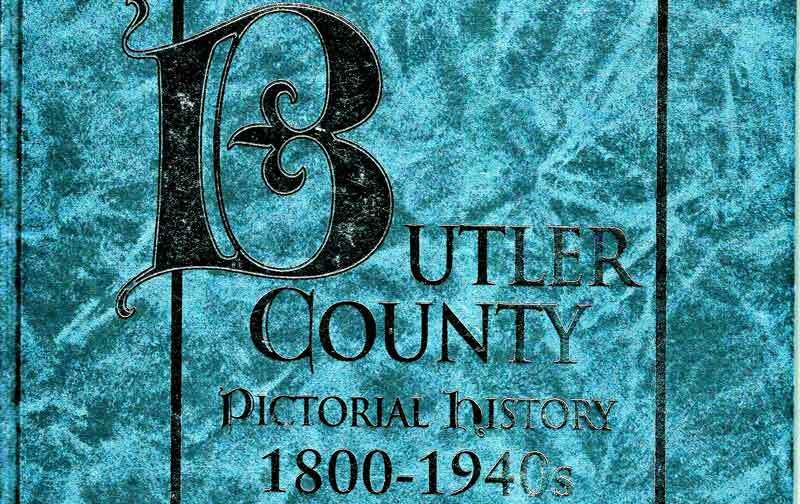 Plat maps listing Butler County land owners include the years 1836, 1875, 1895, 1910, 1914 and 1930. Books containing information on soldiers include: D.A.R. Patriot Index; Official Roster of Soldiers of the American Revolution Buries in Ohio; Roster of Ohio Soldiers, 1861-1866, War of Rebellion; The Official Roster of Ohio Soldiers in the War With Spain 1898-1899; Official Roster of Ohio Soldiers, Sailors, and Marines, World War I, 1917-1918. General information, original catalogues, primary documents, and photographs of local business is maintained. 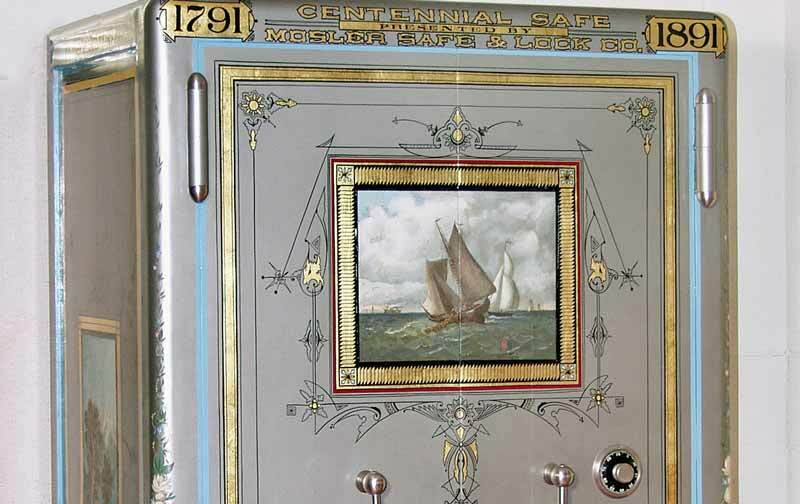 Included in this collection is information about the Estate Stove Company; Mosler Safe Company; Shuler and Benninghofen; Niles Tool Works/General Machine Corporation; Hooven, Owens and Rentschler; Beckett Paper, Champion Coated Paper; and many more. Ledgers for several business, including the Riker Funeral Home in Riley are also part of the collection. 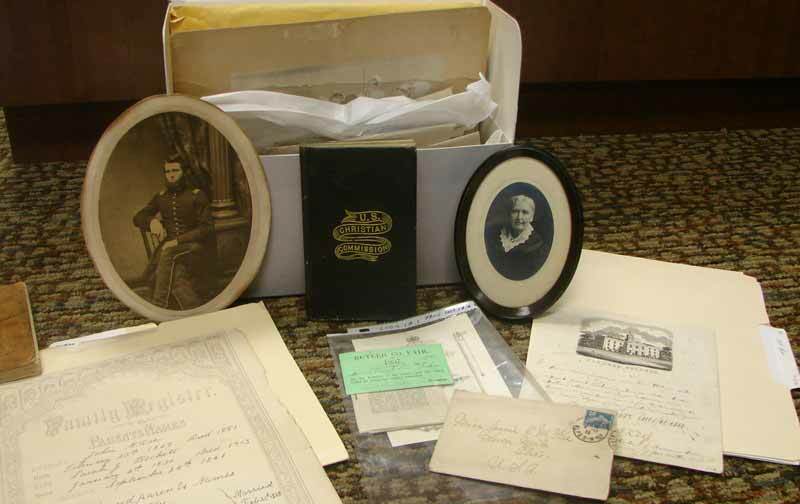 There are many special collections including the John Woods legal papers, 1799-1852 (indexed); the Alta Heiser newspaper columns 1934-1970; cemetery books; postcards; Butler County Medical Society records; St John’s UUC of Hamilton records; John Reily Chapter of the D.A.R.records; Progressive Literary Club records; Civil War Round Table records; Hamilton Current Events Club records, Unity Club records; and Chem –Dry records.